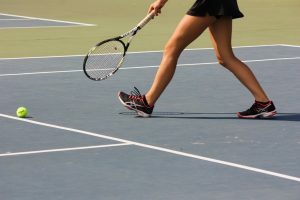 On Tuesday afternoon, the Foothill girls’ tennis team was defeated by the Villanova High School Wildcats 10-8 in an away league match in Ojai. 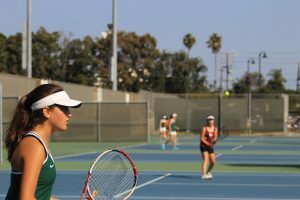 Freshman Erin Gaynor and Junior Laina Feath both took an overall win for the Dragons winning two out of three matches. 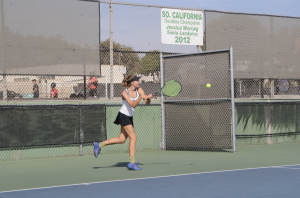 Sophomore Enkela Qoshlli is still recovering from her injury and sat her first match. She played her second and was defeated but went on to win her final match against Villanova junior Emily Mam. 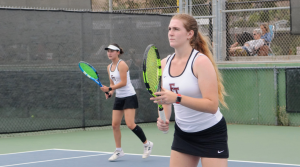 In doubles, sisters sophomore Sherlyn and junior Summer Khouvilay won all three of their sets for the eighth time this year. 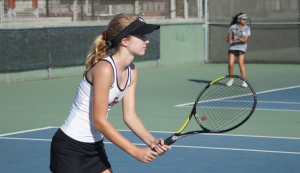 Despite some close matches, sophomore Katlyn Urick and senior Nina Urban were defeated in all three of their matches. 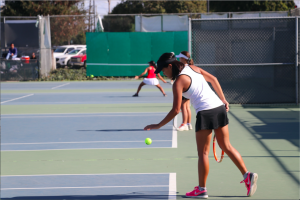 The third doubles team did not compete due to senior Karina Cole being out with an illness. 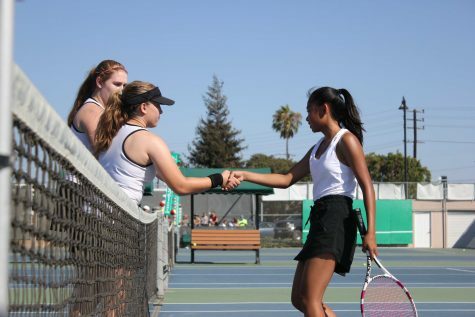 “[It was a] tough day today without a third doubles team playing,” said Coach Brad McClain. 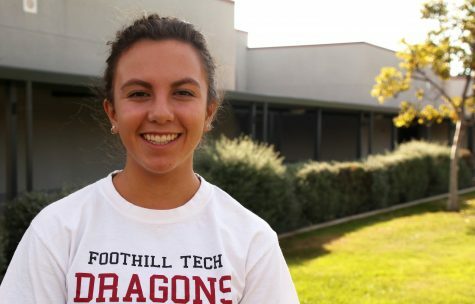 Despite their efforts, with a lack of players, the Dragons fell with a score of 10-8. 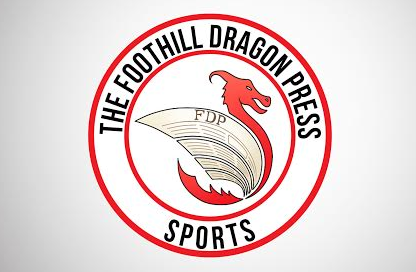 The Dragons’ record falls to 10-2 overall and 7-2 in league. 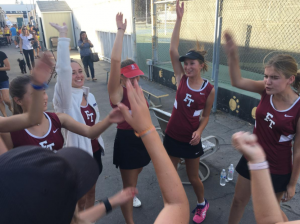 The next match will be a home game against the Hueneme High School Vikings at Ventura College on Monday, Oct. 12 at 3 p.m.